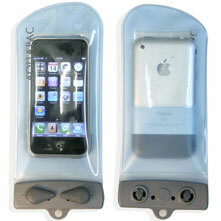 Visit Aquapac's Small Stormproof Phone Case page. 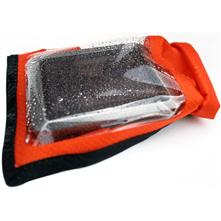 Protect your expensive cell phone or GPS device from rain, mud and dirt while you kayak, hike and bike with the Aquapac Stormproof phone case. 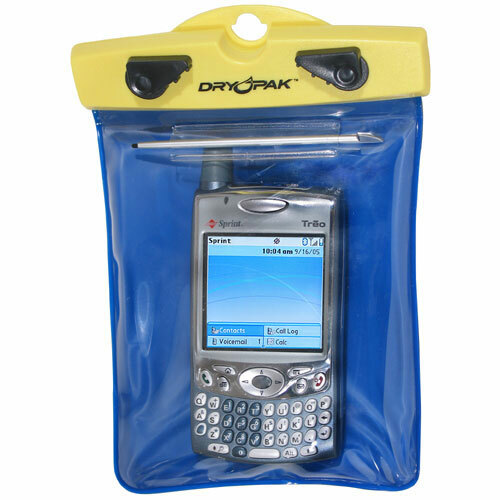 IPX6 rating indicates that the case provides protection against projected water, such as heavy rain; case is not intended for submersion in water. 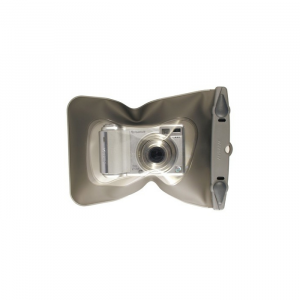 Patent-pending window allows full use of touch-screen phones and cell phone cameras. 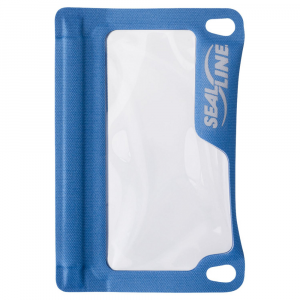 Thermoplastic urethane-coated ripstop nylon features welded seams and a roll-top design to keep water from getting in. Small size fits Blackberry phones and smartphones larger than the iPhone(R); also fits small GPS units. 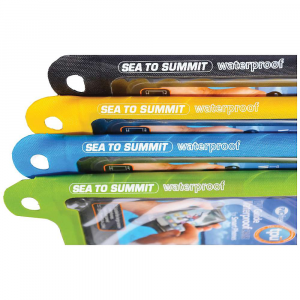 Aquapac Stormproof phone case includes a lanyard for wearing the case around your neck; includes a tab on back for carrying the case on a belt or clipping it to a carabiner. 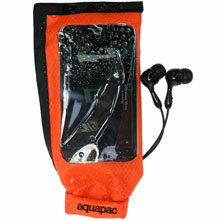 Sized to work with the Aquapac armband (not included) for hands-free carrying on your arm. Special buy.